A majestic 16" tall winged laughing dragon. 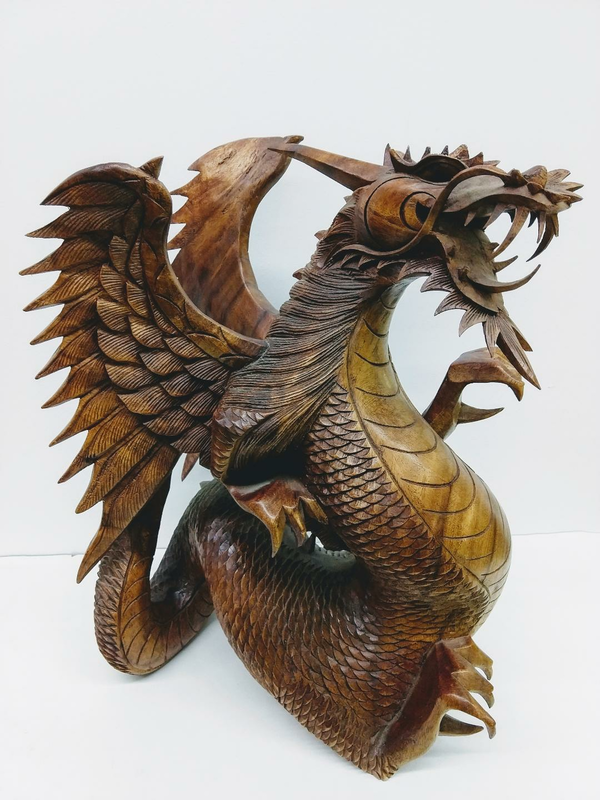 Carved out of 1 block of wood with fine details. Dragon is a universal symbol for power.